As an experienced maxillofacial and oral surgeon, James Sunwoo, MD, DDS has been practicing dentistry in Southern California since 2009. 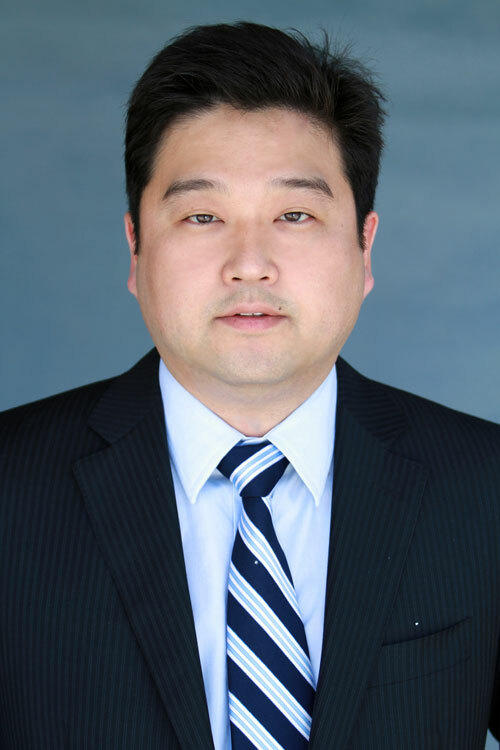 After receiving his undergraduate degree at the University of Chicago, Sunwoo moved to California where he went on to earn dual degrees in medicine and dentistry from the University of Southern California and Columbia University. After graduation, he began an intensive internship and residency at the USC. Sunwoo's impressive career has been marked with several honors and awards. Some of his most notable accomplishments are his work with the Institute of Systems Biology on molecular biotechnology. Dr. Sunwoo has become a pioneer in this field and continues to make great advances with his research team. With such an impressive resume, Sunwoo is known for providing the highest quality of care for each and every patient he sees. When Dr. Sunwoo is not busy with surgery or medical research, he enjoys traveling, hiking and spending time with his family. One of the leading oral surgeons in Southern California, Dr. Rennie Cheung graduated from UCLA Medical School where he earned a medical degree in dental surgery. Dr. Cheung received the bulk of his medical training at the University of California in Los Angeles. He also completed an intensive fellowship at the American Academy of Cosmetic Surgery in Beverly Hills and is a member of the Oral Surgeons Society and SFV Oral Surgeon Society. 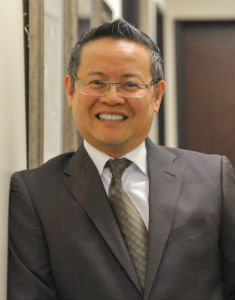 Dr. Cheung has an impressive list of licenses and memberships with some of the most respected professional dental organizations, such as the American Association of Oral and Maxillofacial Surgery, the California Association of Oral and Maxillofacial Surgery and the American Academy of Cosmetic Surgery. As a board certified oral surgeon with an expertise in oral and maxillofacial surgery, patients will receive the best care possible with Dr. Cheung. When Dr. Cheung is not in surgery or taking care of patients, he spends his valuable spare time reading, skating, cycling or practicing Brazilian Jiu Jitsu. "I had two wisdom tooth taken out yesterday! I am extremely afraid of the dentist and even with Meds I still was super nervous, I was crying and shaking the oral surgeon that was there took his time trying to calm me down he didn't rush me and by the time he was done I no longer was shaking! He and Dr. Barsoum have help me start trusting dentist just a little more, don't get me wrong I'm still real nervous to go but not as before. Thanks to everyone there everyone was so patient and kind to me!!!! Recovery is going awesome"
"I've had a horrible toothache for the last week. I called Dr. Barsoum's office in Chino on Wednesday because the pain was too much. I left work early and headed straight to my appointment. Dr. Barsoum quickly discovered the source of my pain, prescribed meds, and recommended I see the oral surgeon to have one of my wisdom teeth extracted. He called me a few hours after I left the office to see how I was feeling and gave me his cell phone number in case I had any questions or felt any discomfort. I had my tooth extracted by Dr. Cheung in Upland Saturday morning. He explained everything and made sure I was comfortable. The dental assistant put Chapstick on my lips before Dr. Cheung got started and put Vaseline on my lips throughout the procedure. No dry or cracked lips here. I felt zero pain during the process and haven't been in any pain since I got home. He called me this evening to see how I'm feeling and gave me his cell phone number in case I have any questions or need anything. This is by far the best dental experience I've ever had and I am looking forward to getting the rest of the work I need done at Barsoum Dental. Thank God for people who care about the work they do and the people they serve." Oral surgeons are amongst the most highly trained of all dental specialists. However, they are far more than just a dentist as oral surgeons focus on the entire maxillofacial region. These specialists focus on the diagnosis and surgical treatment of a wide range of problems affecting the teeth, jaws, mouth and face. In this way, oral surgery can be used to improve both the function and appearance of the mouth and face. As specialists in both precision surgery and advanced dentistry, oral surgeons must undergo many years of training in order to become certified. Following four years of dentistry school, oral surgeons then undergo anywhere from four to seven additional years of surgical training in a hospital residency program. During this time, oral surgeons learn general surgery, cosmetic surgery, anesthesiology and numerous other key skills that allow them to perform a wide range of complicated surgical procedures. At Barsoum Dental, we are proud to employ some of the most respected oral surgeons in Southern California. Tooth extraction, sedation dentistry and dental implants are just a few of the many ways our team can help you to achieve your oral health goals. In addition, we also specialize in cosmetic and reconstructive surgeries, treatment of facial injuries and trauma, cleft palate surgery and surgical treatment of TMJ. Our specialist team also has years of experience in helping patients to overcome their sleep apnea problems, and we may be able to help you finally sleep peacefully throughout the night. The vast majority of oral and maxillofacial surgery procedures are incredibly complex, which means that it's important that you don't trust your oral health to just anyone. In this sense, Barsoum Dental is an outstanding choice thanks to our combination of highly experienced surgeons and dedicated professional support staff. Although the thought of oral surgery may be scary, our team will help guide you through the process and answer any question you may have in order to ensure you feel fully confident and prepared for your procedure. No matter what particular problem you're facing, our team will work to ensure that you get the help you need to overcome your issue in the safest, most comfortable way possible.